Many industries have seemingly strange terms, and the printing industry is no different. Some are actually what they sound like - stapling and numbering - some are not. After all, what are we doing with saddles and drills in a Print shop? Not only can we print great items, we can also finish them to the specifications your project requires! Wrong equipment shown...correct idea! 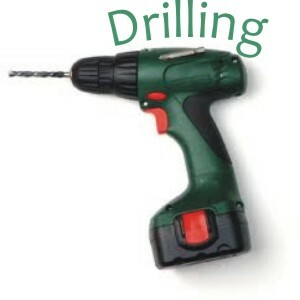 "Drilling" is the term for "punching" holes in your forms. Lancer Ltd. will drill at the top, side, bottom...whatever is necessary for your project. Most popular configurations are "2 holes at top" for customers who attach forms to file folders or other binders with clips for fasteners at the top. Another standard is "3-ring binder at the left", which is exactly what it sounds like. Let us know what position you need them, (top, left, bottom...) how large you want them, (diameter), how far apart from each other (center to center, aka "c to c") and how far from the edge (back gauge) you need them, then leave the rest to us! 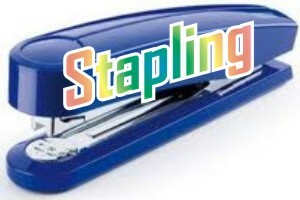 Our "staplers" are a little more automated, and a heckuva lot bigger, but you get the idea! If your job is digital, we'll run them collated and staple "in-line", if the job allows. Offset jobs will be run, collated and stapled in separate processes. You need not worry about how we do it, just know that all you have to do is tell us where you need it fastened, and we'll take care of it!. We're ready to accommodate you for whatever your reason may be to number your forms. 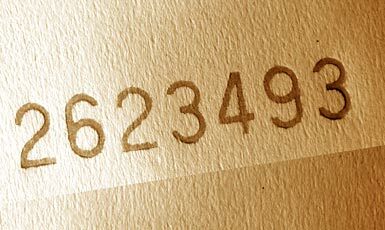 Lancer Ltd. can number in red or black, with or without a prefix. Tickets, Purchase Orders, Invoices, or billing forms of any kind. We also do double numbering for raffle tickets. Let us know color, position and starting number, and consider it done! 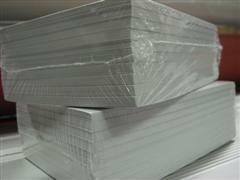 Shrink wrapping is the counting out of forms or pads, wrapping in a special plastic "shrinking" material, and heat is applied to fit the forms. The typical choice is to wrap in "ream-counts" of 250 or 500 depending on the paper, 5 or 10 pads in a package, or whatever makes you happy! 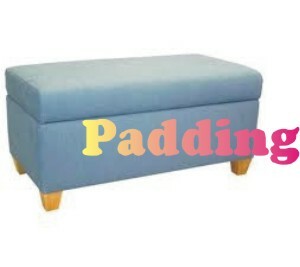 This is one of the terms that, unless you know how booklets are made, you can't even begin to guess! The pages (aka signatures) of the book are collated together, folded (or nested), then stapled twice along the spine (you know, like a comic book). Other methods of bookmaking that Lancer Ltd. offers include perfect binding (like a paperback book) or coil binding (aka spiral binding). These are just a few finishing touches we can put on your project. We also do perforating, folding, die-cutting, scoring, laminating and round-cornering business cards, and more! 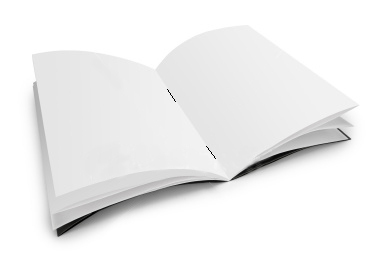 When you're getting estimates, please remember that our bindery department can take your projects from ordinary to extraordinary with just a couple of more steps! Hey, here's a thought...even if we didn't print the forms (we won't ask "why not! "), we can still do the finishing! Fill out the Contact Form below, let us know what you need done, and we'll get in touch with you as soon as possible! Phone # In case you'd rather speak to someone!